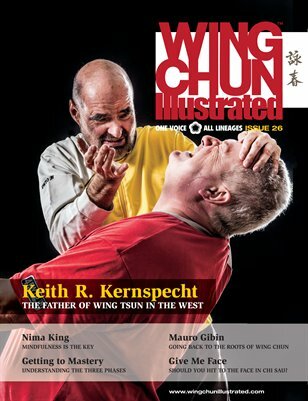 Issue 26 of WCI features Sifu Keith R. Kernspecht on the cover. Sifu Kernspecht, now 70, is the person most responsible for the widespread success of Wing Tsun throughout Europe. Since 1976, his European Wing Tsun Organisation (EWTO) catapulted Leung Ting’s Wing Tsun to levels never before seen in Chinese martial arts. Even today, many European, as well as American, Australian and African representatives from other Wing Chun or Ving Tsun lineages trace their roots to the EWTO. Not one to rest on his laurels, Sifu Kernspecht has taken the system and continually developed it to keep it relevant for the European audience. This has won him both praise and criticism from the general martial arts scene. For a complete table of contents, please visit our website.